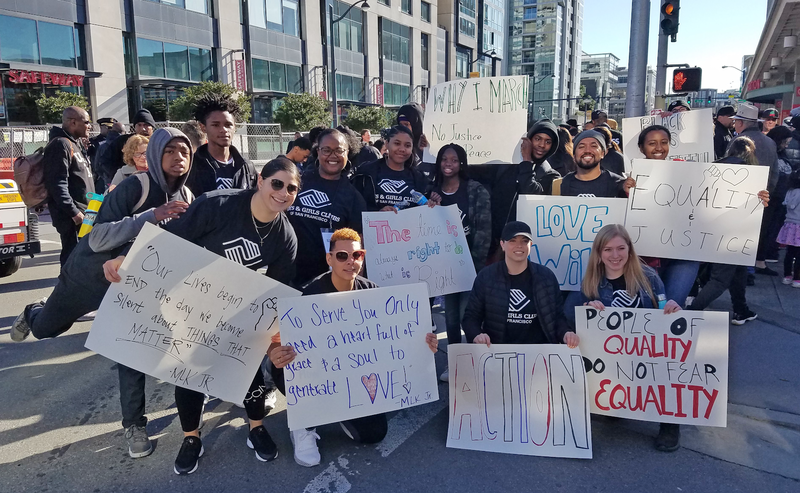 In recognition of Martin Luther King Jr. Day, Boys & Girls Clubs of San Francisco (BGCSF) held an organization-wide day of service on Monday, January 21st as a demonstration of our commitment to Dr. King’s vision. 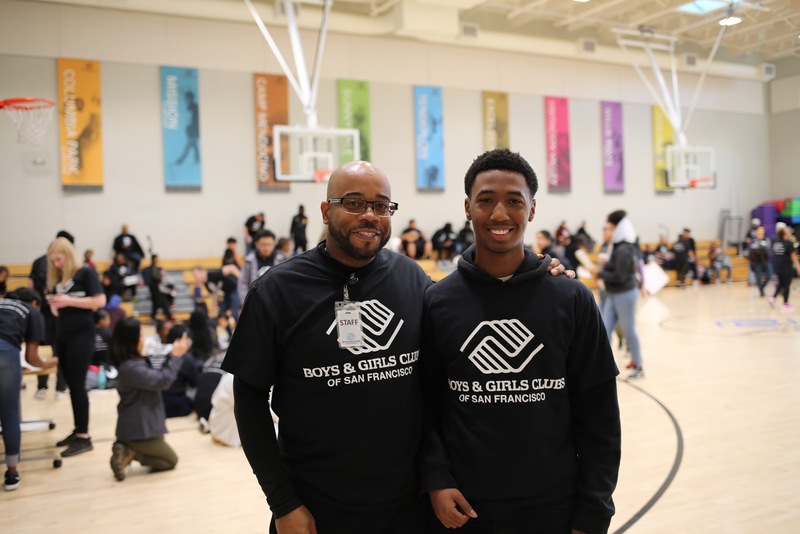 More than 200 BGCSF staff, youth, and volunteers spread out over the city to take part in one of three public service activities: preparing bagged lunches for the homeless, beautifying the Visitacion Valley neighborhood, and adding their voices to the MLK Day march in downtown San Francisco. 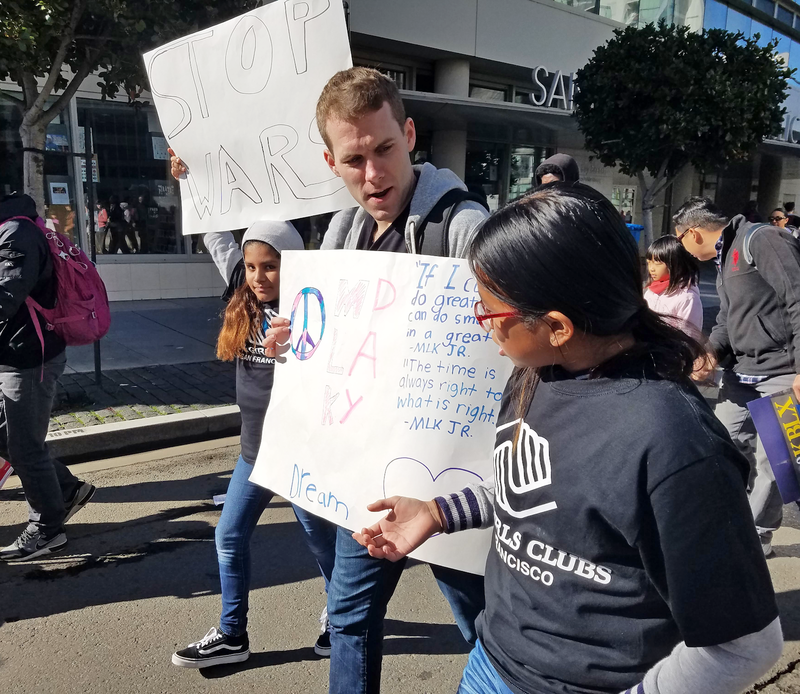 These events were chosen by a committee of staff and teens because they embody what Dr. King stood for and reflect ways in which Club youth want to change San Francisco for the better. 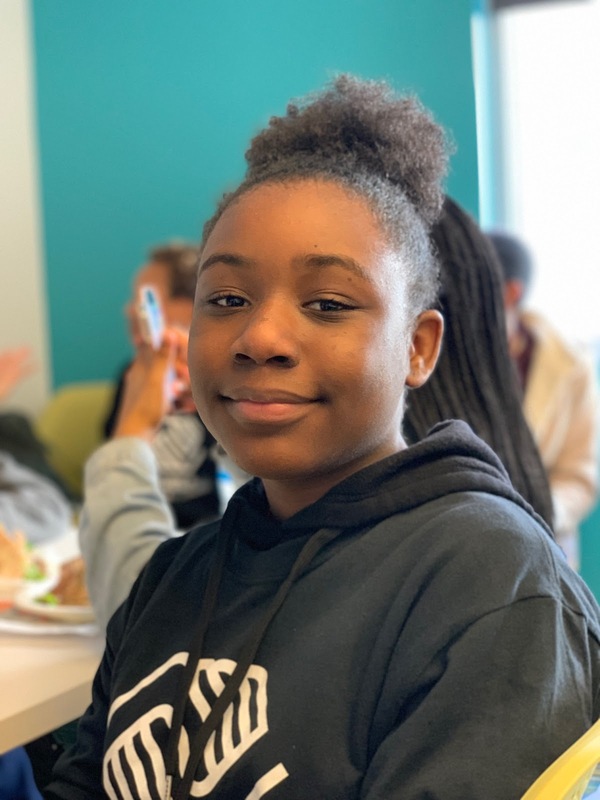 More than 100 Club youth participated in the day, but two teens in particular from the Don Fisher Clubhouse, Jamariae and Saron, were eager to have their voices heard in the organizing process. Jamariae and Saron wanted to ensure that social issues central to youth voices were included in the day's plans. 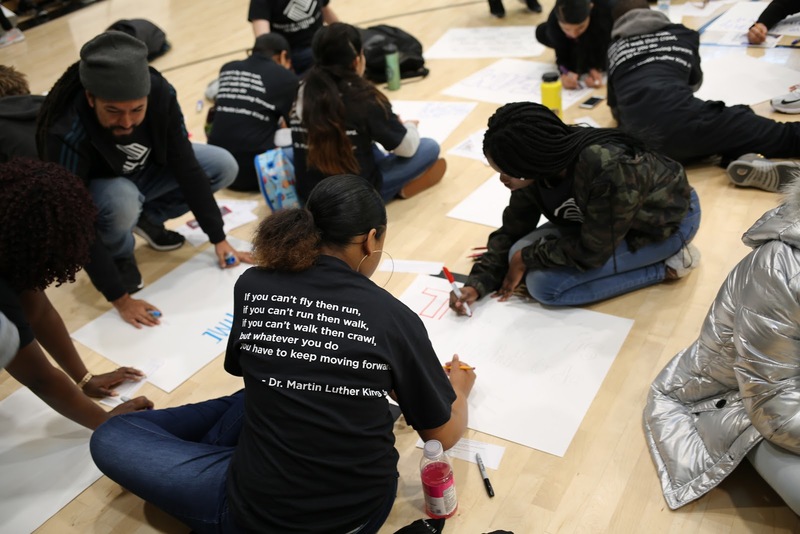 They were among teen leaders from across BGCSF who voted on 8 different MLK quotes, ultimately deciding on the following quote: “If you can't fly then run, if you can't run then walk, if you can't walk then crawl, but whatever you do you have to keep moving forward.” All staff and Club youth wore BGCSF shirts featuring Dr. King’s quote on the back, galvanizing the significance of the occasion. 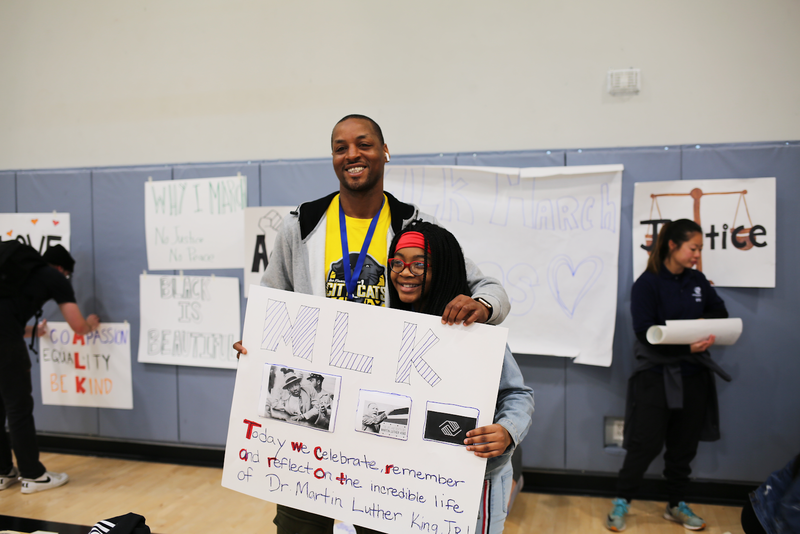 On the morning of MLK Day, all participants gathered in the Don Fisher Clubhouse gymnasium to hear staff and Clubhouse members speak about the importance of Dr. King’s lessons in their own lives. 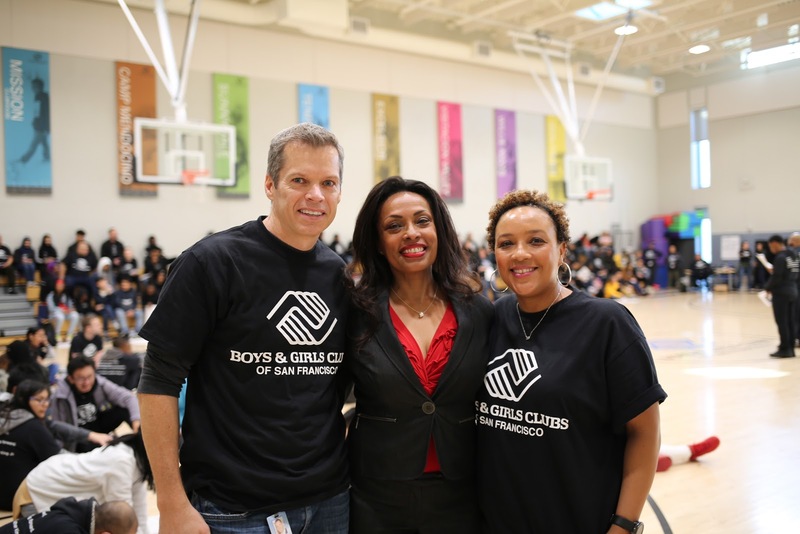 BGCSF Board Member Karen Roye, Director of San Francisco’s Department of Child Support Services, made a special appearance to fire up the crowd. Director Roye spoke of her own road to success, and the importance of persistence, dedication, and hard work in achieving what you want in life. 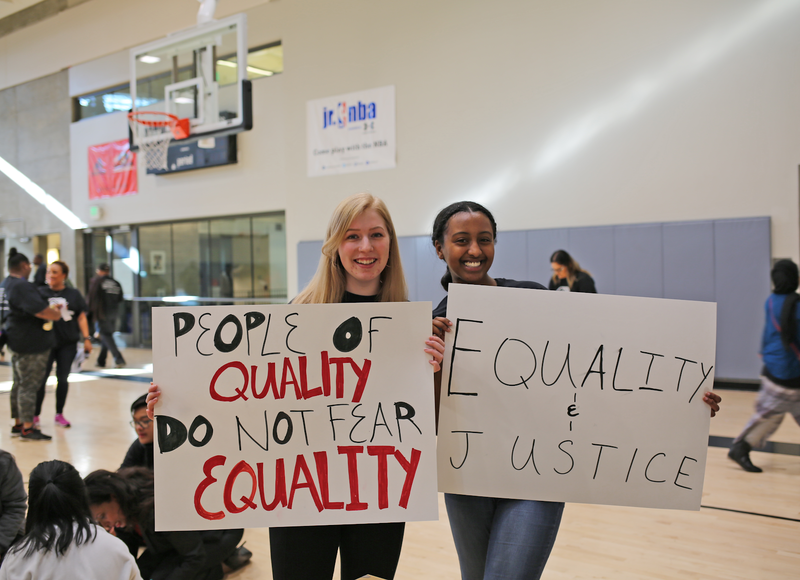 In preparation for the MLK Day march, staff and youth worked together to make signs to hold while in the streets. Many Club youth got creative with their designs, adding color and personality to their important message. 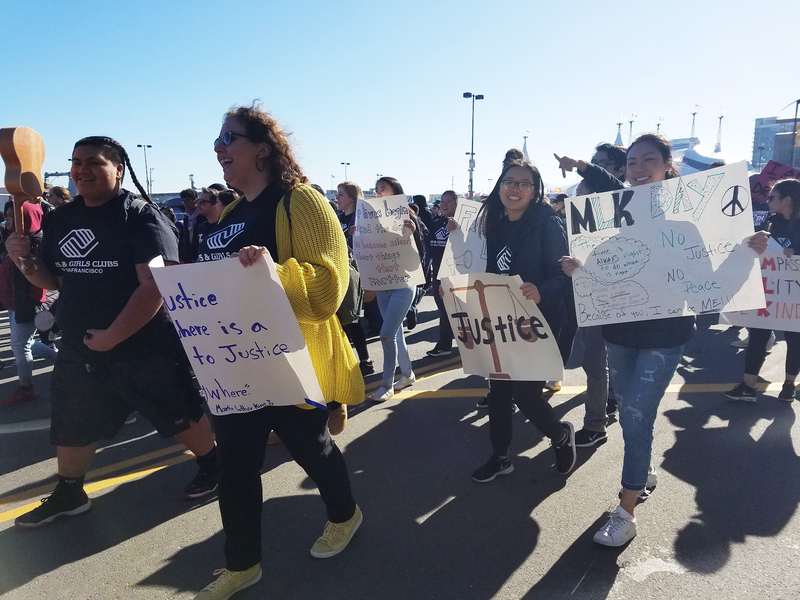 Once our MLK Day march group embarked, they joined a sea of supporters taking action to honor Dr. King’s memory. 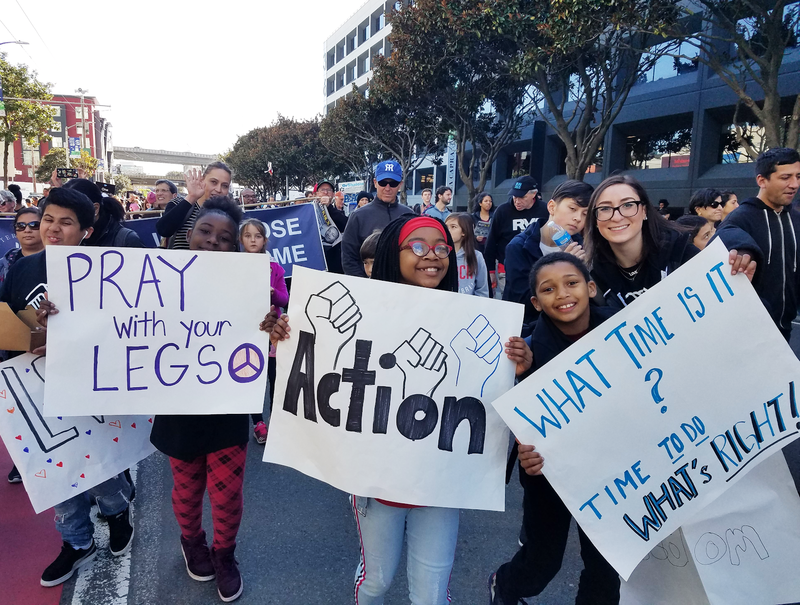 San Francisco has a long history of advocating for social justice, and the MLK Day march embodied the best aspects of that tradition. Back at the Don Fisher Clubhouse, participants in our second activity, preparing bagged lunches for the homeless, got to work. 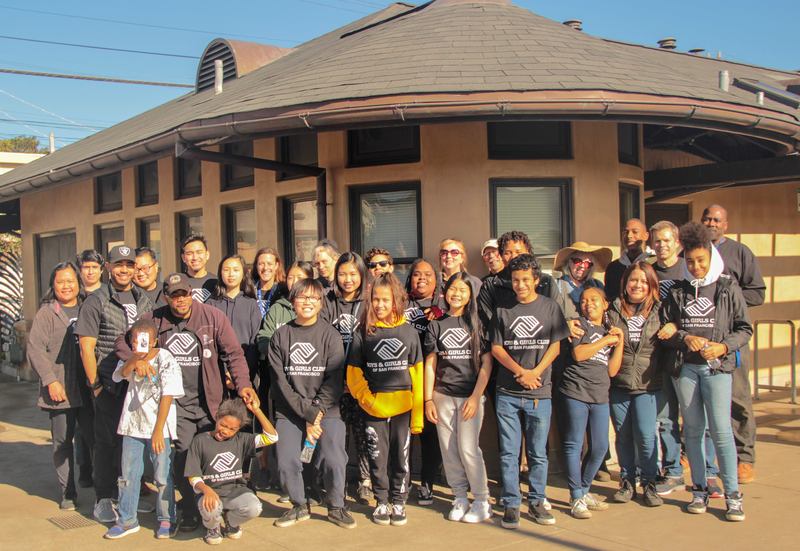 These volunteers took over the Don Fisher Clubhouse kitchen and then set to the streets, making a difference for members of our community who are in need of the goodwill Dr. King promoted. 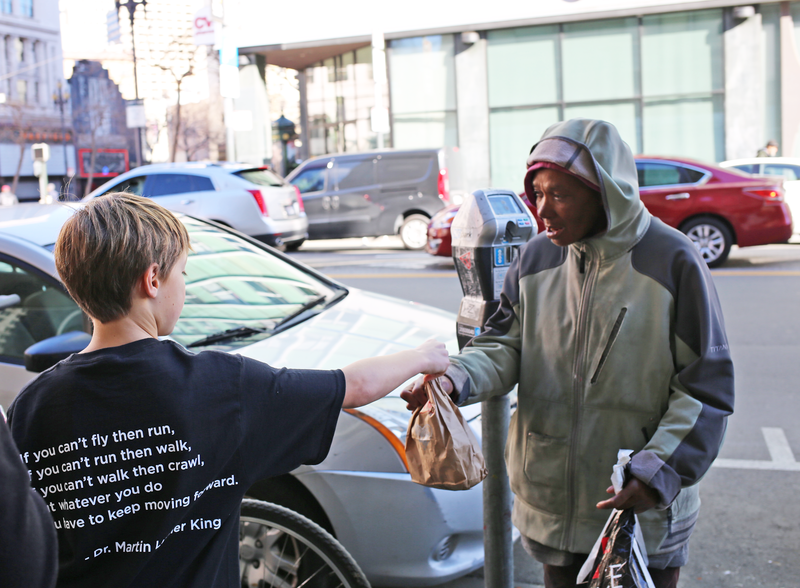 A special thanks go to our San Francisco neighbors at Twitter, who brought a group of volunteers to assist with bagging and serving meals. 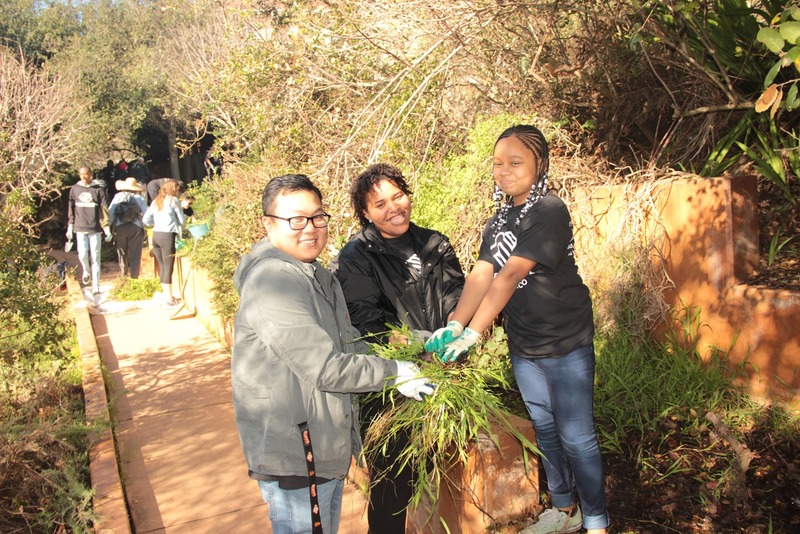 In Visitacion Valley, our third group of staff, youth, and volunteers set out to help beautify the Greenway, a six-block-long park spanning the heart of the historic San Francisco neighborhood. 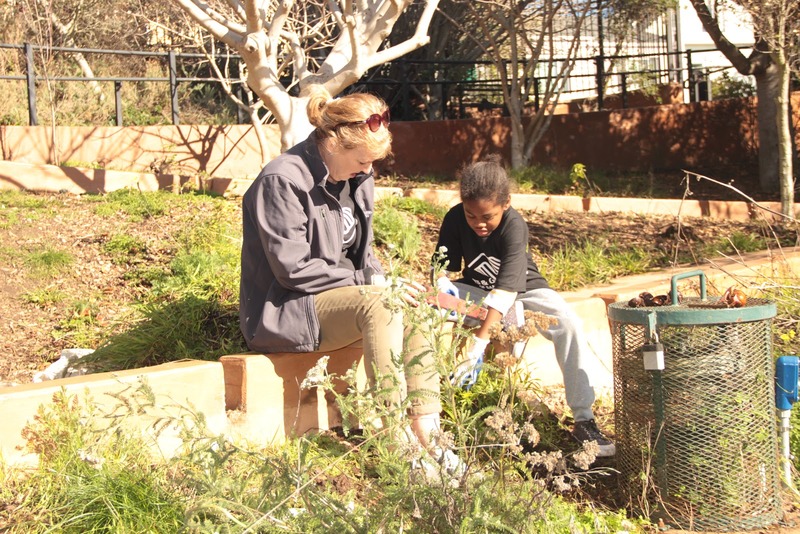 Participants were given a short lesson on gardening before converging on the park, pulling out huge piles of weeds and planting some native species to help the park maintain its its strong community roots. 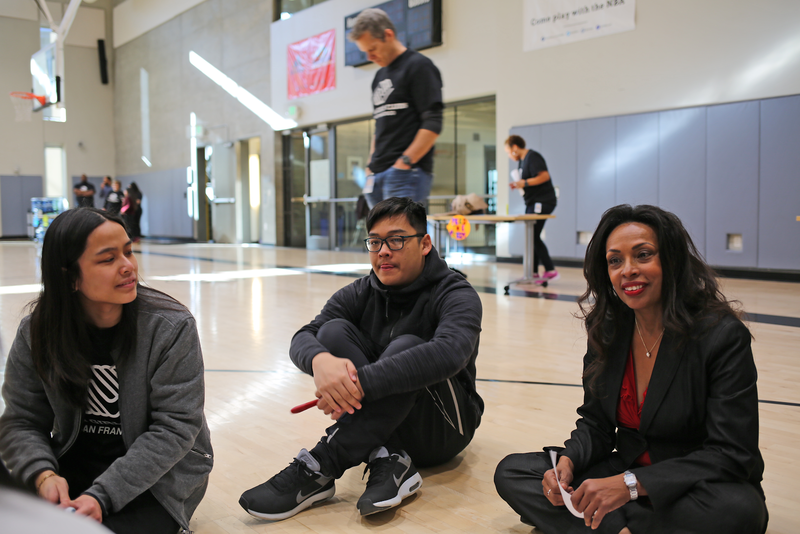 Reflecting on the day of service, BGCSF Chief Operating Officer Maxine Wilson touched on a similar note. “As an organization, we try to instill in our youth the importance of community service and giving back no matter where you come from. 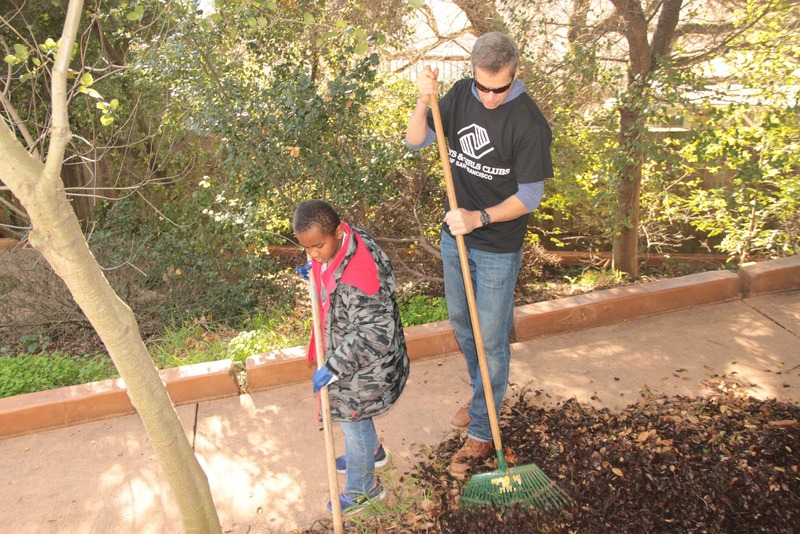 For me, Dr. King's legacy is about service, and it just made sense that we spent the day working in the community and modeling those values." 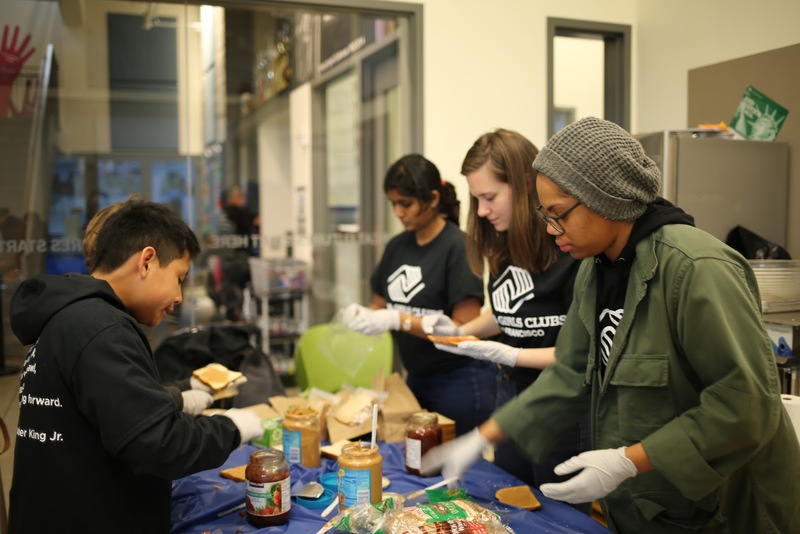 If you’re looking for a meaningful volunteer experience, there’s no need to wait until next year’s Martin Luther King Day. 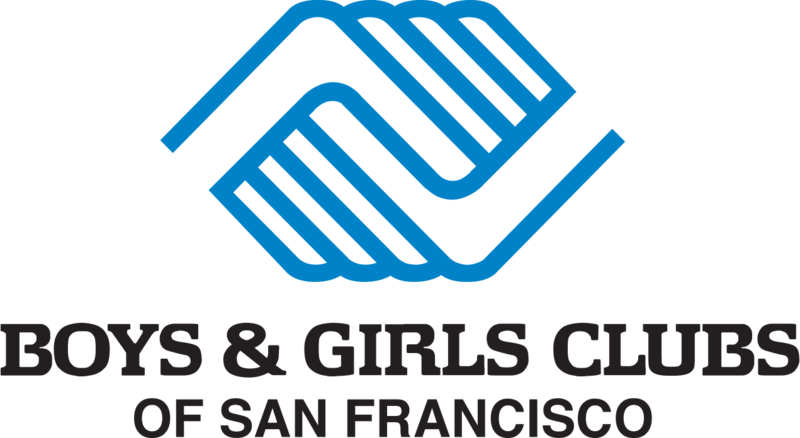 Volunteering for BGCSF is a fun and rewarding experience you can take part in almost every day of the year! Visit our volunteer page for more information on how you can contribute.